When it comes to the internet, the value of your brand or name depends on who else is interested in what you have to say. I was recently thinking about this concept and the idea of this social value, coined as a type of currency called a Whuffie by Cory Doctorow in his novel Down and Out in the Magic Kingdom. Of all the social networks, Twitter seems to fit that model the best, with the ability to RT or Re-Tweet messages, therefore ascribing more social status to the original poster. Turns out that someone had this idea at least a year ago (they registered their domain in Aug 2009, so I assume it was around then). I'm sure the exact algorithm to determine the actual whuffie value is as complex, changing and proprietary like that used in a FICO score, but it gives a rough measure of someone's standing in the social media space. 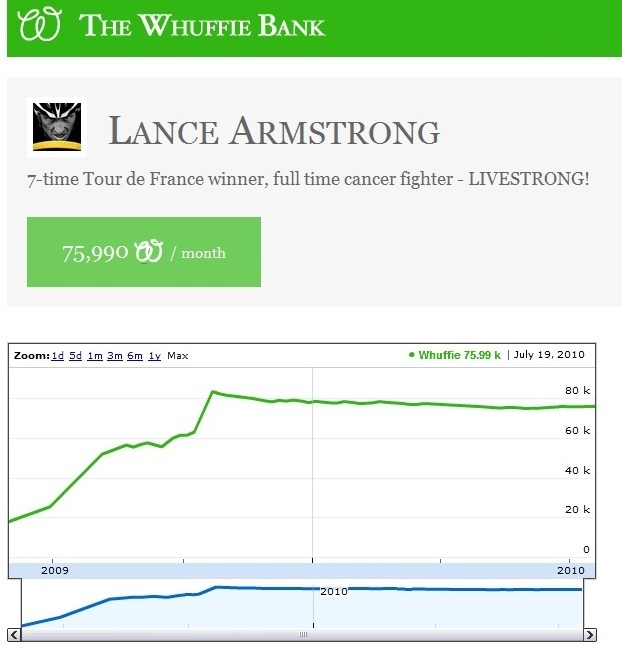 Here is a screen capture of Lance Armstrong's value. 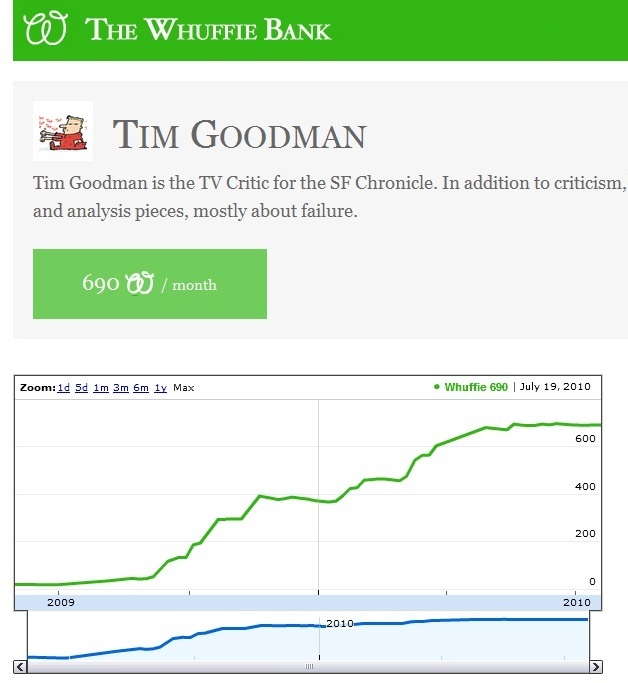 For comparison, here is a capture of Tim Goodman's value, who is an excellent media critic and local celebrity in the SF Bay Area.